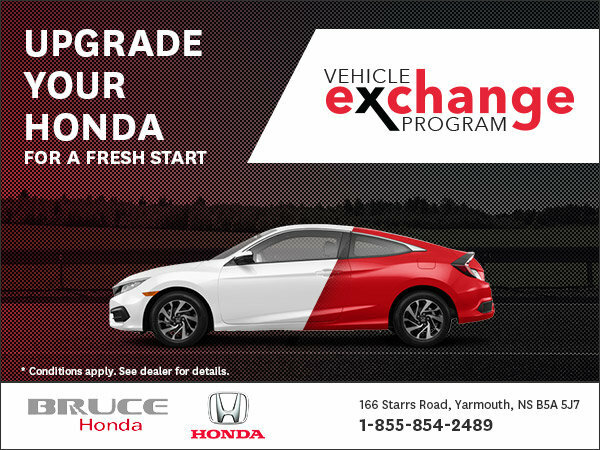 Take advantage of Bruce Honda's Vehicle Exchange program! Upgrade your Honda for a fresh start! Enjoy a new vehicle and benefit from the newest Honda technology! PLUS keep your payments the same, near, or even lower than before! Come down to Bruce Honda today, and book a test drive!